Must Watch Show: Nach le Ve with Saroj Khan Season 3! Put on your dancing shoes as Nachle Ve with Saroj Khan welcome actors Tusshar Kapoor and Kulraj Randhawa on the dance stage. Both of them are not only going to be gracing the event but also going to be shaking a leg with the dance legend Saroj Khan on the famous “Dhinka chika”. To see the fun unravel when the master of dance herself teaches actors Tusshar Kapoor and Kulraj Randhawa – Tune into watch Nachle Ve with Saroj Khan Season 3. Catch the dance on Nachle Ve 3 on Monday, December 26, 2011 on Imagine TV at 7.00 pm. Must Watch: Nach le Ve with Saroj Khan Season 3 ! It’s raining celebrities on Nachle Ve with Saroj Khan Season 3 and this time it’s none other than the gorgeous Neha Dhupia. To catch Neha Dhupia shake a leg with the dancing legend Saroj Khan and participants Ravi Dubey – Aishwarya Sakuja and Yashashri Masurkar – Mohit Malhotra. To see what unfolds in the presence of Neha Dhupia and Saroj Khan – Tune into watch Nachle Ve with Saroj Khan Season 3. Catch the dance competition as it unravels on Nachle Ve season 3; Monday, December 19, 2011 on Imagine TV at 7.00 pm. Nachle Ve Season 3 back on Imagine TV! It’s your chance to shine bright amongst your friends and family this wedding season. 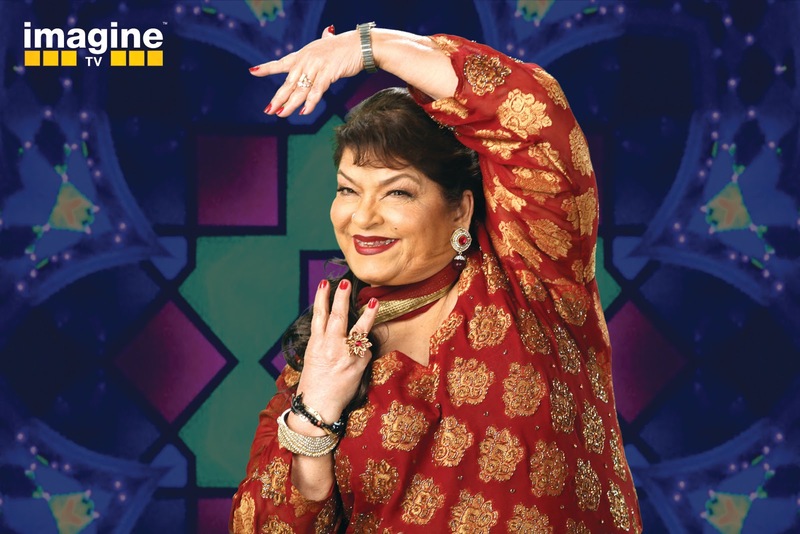 Get ready to be trained by the master of Bollywood dance – Saroj Khan in the comfort of your own homes, as Imagine TV brings back Nachle Ve with Saroj Khan (Season 3) starting 28th November, Monday to Friday 7pm. 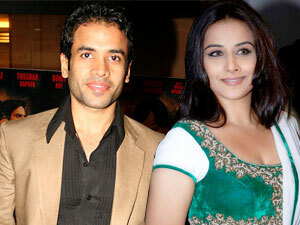 The mahurat episode will be a treat to watch as Saroj Khan will be joined by the lead pair of ‘The Dirty Picture’ – the beautiful Vidya Balan and charming Tushar Kapoor. Sizzling hot Malaika Arora Khan will don the hat of a guest celebrity judge on the weekly finale which will be held every Friday. Nachle Ve will feature prominent and loved television actors, learn and compete on recent Bollywood dance scores. Saroj Khan will bring in her experience to play as armature celebrity dancers work their way to win her heart. The star studded show will include some prominent faces of our Television Industry like Ashita Dhawan, Chaitanya Chowdhary, Gaurav Khanna, Ankita Sharma, Daljeet and Shaleen Bhanot, Jay Bhanushali and Mahi Vij, Gaurav Chopraa and Mouni Roy, Anoop Soni and Smita Bansal trying to compete with each other.